YEAH!! It’s finally here!! Book Three has been published!!! 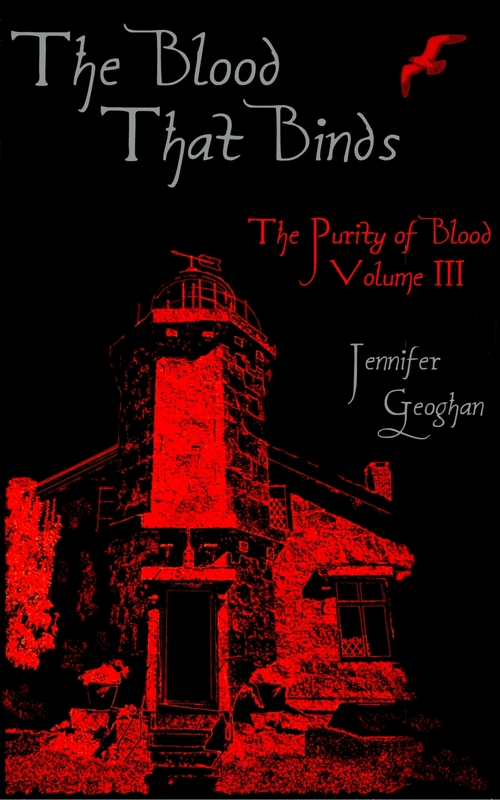 I’m happy to announce that book three in my series, The Blood that Binds, The Purity of Blood Volume III, is now available for purchase on Amazon.com. I can’t tell you how happy I am to have one more book under my belt. Seriously, I hope you take advantage and get Book one (The Purity of Blood Volume I) I’ve poured my soul into these books and have been gratified and humbled by the reaction I’ve received from my readers. A few years ago I started writing and in a million years never thought the day would come when I’d be pursuing a career as a writer. I always knew I had the talent, but I think I lacked the drive. Somewhere, I have no idea where, that drive just finally materialized in me. It was as if I suddenly at the age of 43 discovered what I wanted to be when I grew up. I guess I’m a later bloomer. But the point is that I’ve bloomed, Baby! The cover is an image of The Old Lighthouse Museum in Stonington, CT where a lot of the action in the book takes place. Whereas my first two novels focused on the Wells family (my real ancestors) this novel focuses of the Rogers Family of New London County, CT (also my real ancestors) I hope you enjoy it!! After a tumultuous first year at New Paltz University, summer’s finally here for Sara Donnelly … but she’s not exactly excited about it. Heading off to spend the next few months at home in Wading River should sound like a good thing, but it also means she’ll be parted from her fiancé Daniel until the fall. After only a few weeks at home, the summer takes an unexpected turn when Sara’s pulled from her job to spend the remainder of her break with her brother Roger up in Connecticut. But something’s amiss in the small museum where Roger’s just been hired as the new curator. When one of his employees mysteriously goes missing, Sara happily comes to Roger’s rescue by agreeing to fill the vacancy. But spending time with Roger isn’t the only reason she’s happy. From the small museum inside the lighthouse perched on the edge of the sea, it’s only a short drive to where Daniel will be spending his vacation at her grandfather’s house in Rhode Island.